Check here for the newest "Buy it now" breaks to be posted. 1. Sellers will only advertise their break once all auctions have closed for the day. 2. Sellers may post their BIN listings to start any time after the last auction has closed up until noon of the following day. 3. You may subscribe to this thread by clicking the "Subscribe Topic" link below, and you will be notified of new posts by email. 5. I will be deleting the posts here after a box sells out to keep this thread nice and simple. 6. Our BINS are popular and they are being gobbled up fast, from now on if the first BIN of the night is sold in under an hour the next breaker in line has the option to post theirs as well. This is not mandatory for the breakers but you can expect many nights with extra bins. 7. Scheduled BINS which can be seen on the calendar will also be advertised here, usually after the normal BIN rotation for the night has been announced and all the auctions are closed for the night. which also count towards the top 25 bonuses. IMPORTANT INFO For those who have been experiencing problems receiving BIN alerts via email. This comes from Forum head honcho Joe (stackthepads40). We will leave this message up here to give everyone a chance to see it. Ty- I did some reading on how the PHPbb emails work. Let me know if this is what might be what is happening or not. The update emails are sent only after a user visits the thread. They won't get emails for every post since their visit, only for the first post since their last visit, if that makes sense. So they would have to log in and "view" the new post(s) and then after that they would get an email when there is a new post. I have been getting emails fine for the HOF posting, but unless I go view the thread, it won't email me again. a) Make sure that you are subscribed to this thread at the bottom of the page (If you are subscribed, there should be an "Unsubscribe" option). Yesterday a member who had previously subscribed was, for whatever reason, unsubscribed and had to re-check the box. b) You will only receive the next email for the next BIN if you visit this thread when you received the previous email (Make SURE that you are logged in when you visit the thread, or else it will not count). If you do not actually visit the thread while you are logged in when you get the Notification email, you will not get any further emails until you visit the thread. This is a built in anti-spam measure that they programmed in and it does not look as though we can circumvent it. Last edited by teeks643 on 2013-Sep-Wed-11-09, edited 7 times in total. Live at 10:30 CST is team select BIN of 17-18 The Cup! This break includes the Hitcoin Miner bonus which means you will receive 1 hitcoin for each team purchased. Find it in the Premium section. with 10 Personal Hobby Box Prizes! Final Prize Draft including a A Personal Hobby Box Draft!! 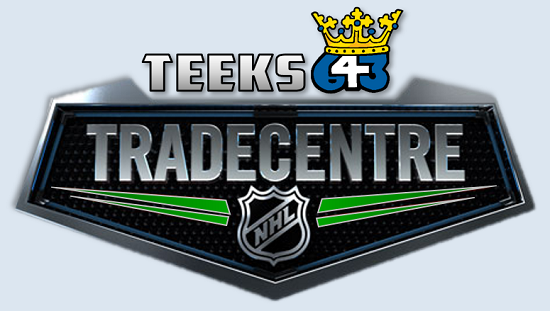 Once all Personal Hobby Boxes have been drafted, I will open everyone's boxes and post all of the hits in one Tradecentre thread on the forum. At that point, everyone will have a trade window where they can offer, accept, and counteroffer trades for cards before they are shipped out! Live at 10:15 CST is team select BIN of 18-19 Artifacts! This break includes the Hitcoin Miner bonus which means you will receive 1 hitcoin for each team purchased. Live NOW in the Memorabilia section is a 18-19 Hit Parade Random Team break which includes an autographed NHL jersey! This break includes the Hitcoin Miner bonus which means you will receive 1 hitcoin for each team purchased.